Happy Wednesday, my friends!! Hope your week has been a good one so far!! 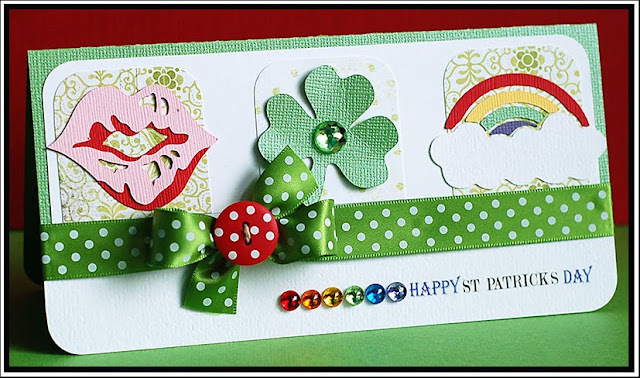 I have a few cards to share with you today, and I've gone all Irish on you! Tee hee! Actually...I don't have an ounce of Irish in me, but I love to make St. Patty's day cards. There is something about rainbow colors, shamrocks, bright green, glitter....they just make me happy! I am sure I will be getting some more done this month! My first card uses Kazan's Sketch 47 from 2 Sketches 4 U. Such a fabulous sketch this week...as always. Instructions: Fold white cardstock in half to make card base, and round the bottom corners. Round the bottom corners of a block of green doily paper and adhere to the front. Round the bottom corners of a white cardstock block, and tie yellow ribbon around the middle of it. Adhere the block to the front of the card. Cut the shamrock circle from green cardstock at 2.5" using the Cricut Expression and Designer's Calendar cartridge. Cover in glitter, adhere over top of the ribbon, and accent the middle with 3 green jewels. Add a rainbow of jewels to the top part of the circle. Cut the sentiment from black cardstock at 2" and adhere to the lower right corner. Finish the sentiment using tiny black alphas. Punch a border to yellow dotted paper, and adhere to the top with dimensional adhesive. 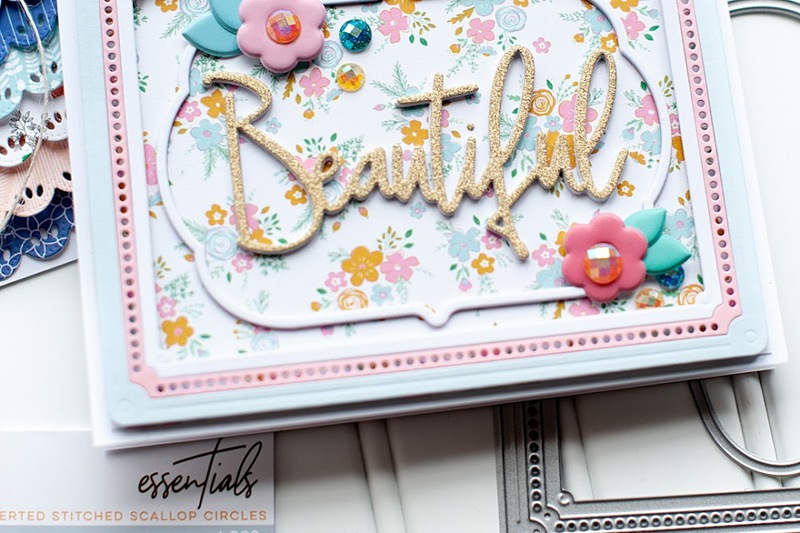 This card full of the cutest cuts, is based on Sketch 58 at The Sweetest Thing. Such a fun one this week...love it!! Instructions: Fold green cardstock in half to make card base, and round the bottom corners. Cover the bottom in white cardstock and round the corners. Round the top corners of a block of white cardstock, and adhere to the top. Tie a strip of green ribbon around the seam, and attach a button to the bow using twine. Round the top corners of 3 patterned paper blocks, and adhere to the front. 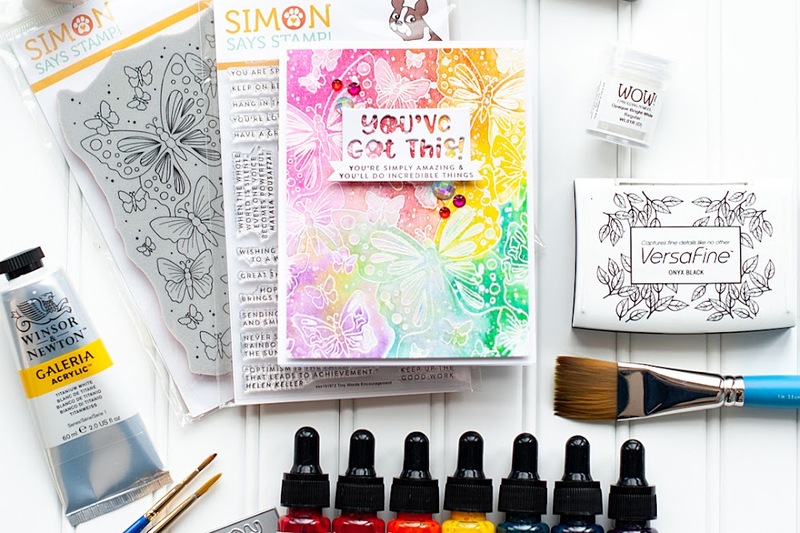 Add the sentiment to the lower right corner using rub-on letters, and accent with a rainbow strip of jewels. Cut the lips from red & pink cardstock at 1.5" using the Cricut Expression and Tie The Knot cartridge. Layer together and adhere to the first block. Cut the shamrock from green cardstock at 1.75" using the Paper Dolls Dress Up cartridge. Layer on the second paper block and accent with a green jewel. Cut the rainbow from white, red, yellow, green & purple cardstocks at 1.5" using the Hello Kitty Greetings cartridge. Layer on the third paper block. And this last one is based on the latest sketch at 365 cards! I love the fun lines in the upper left corner on this one...and it let me break out some of my favorite stamps!! Instructions: Fold red paper in half to make card base, and round the bottom corners. Round the bottom corners of a white paper block. Stamp the hearts lines to the upper left corner. Stamp the larger hearts to white cardstock and cut out. Adhere them to the front in the shape of a shamrock, and add a stem from green cardstock. Add the rub-on frame and letters to the lower right corner, and finish the sentiment using red glitter stickers. 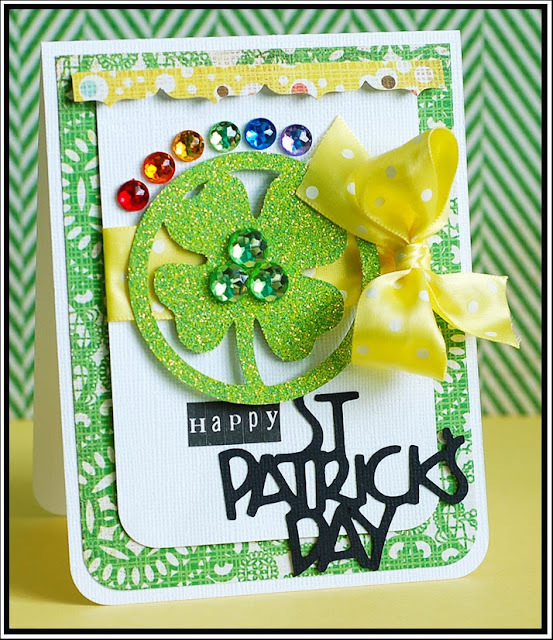 Adhere the entire block to the front of the card, and accent the middle of the shamrock with a heart shaped jewel. 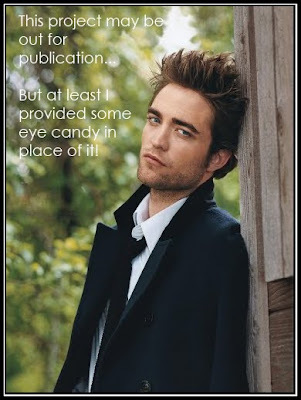 And these are my major weakness right now...YUM!! And lastly...we watched these recently and thought they were pretty good movies!! They were both funny, and a little heartwarming. I have adored Alexis Bledel since the show Gilmore Girls...so of course, I love this movie! 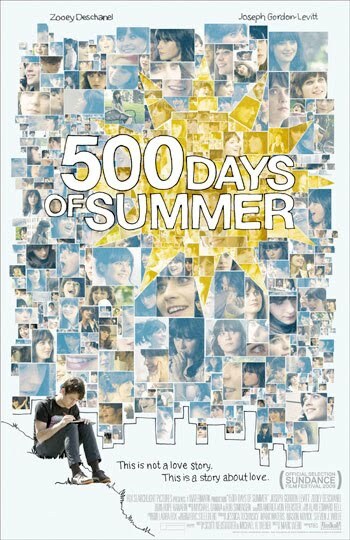 And "500 Days of Summer" was just quirky and fun...a little sad in parts, but still funny at the same time! I would recommend seeing them if you have the time! 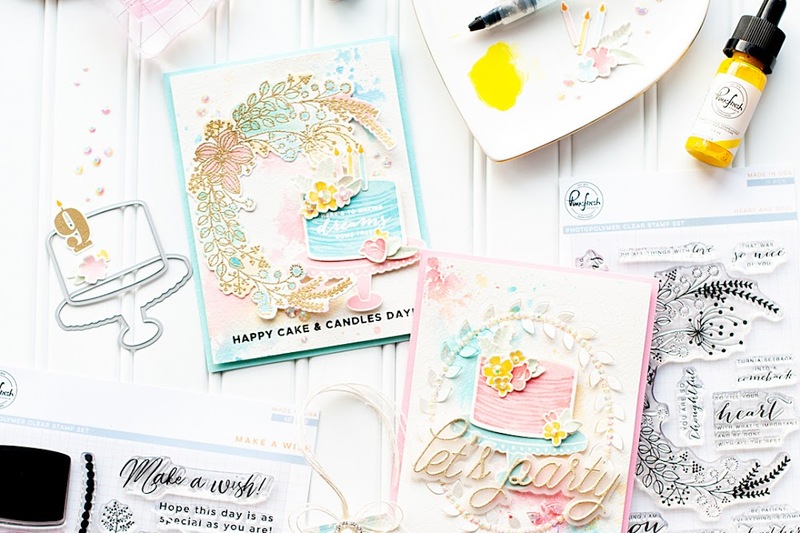 Thanks for leaving a comment on my blog Lea, I really appreciate it, especially from a cardmaking genius like you!! Your cards are so colorful and fun, wow, it must take you ages to make a card because you have so much detail on each! LOVE all your cards Lea...soooo fresh & happy!!! What beautiful cards, make me wanna wish I'm Irish ;-). Wonderful St. Patrick's Day cards :D Welcome to the Curtain Call Crew :D Look forward to working with you. Oh Wow I love all your cards..Your very talented...Also my favorite are ROBIN EGGS!!! They are so bad for my waist but I love them. :).. Thanks for the nice comment you left on my blog today!! I LOVE these Lea! You really know how to rock the rainbows! What fun cards!! Love all the shamrocks!! Thanks for leaving me a comment on my 2S4Y/Denami card!! These cards are totally AMAZING!! You rock! Check you out with your bad non-Irish self! I love them all! Just wonderful work! Wow Lea what an awesome post! I love how bright and fun your St. Patties Day card is - just like the event itself!